Today something a bit different. Every homestead has some array of machinery that makes its function possible. Here I want to highlight both the types that we use and the care and handling of these mechanized beasts. This week it is the snow blower. We use a Toro power shift. 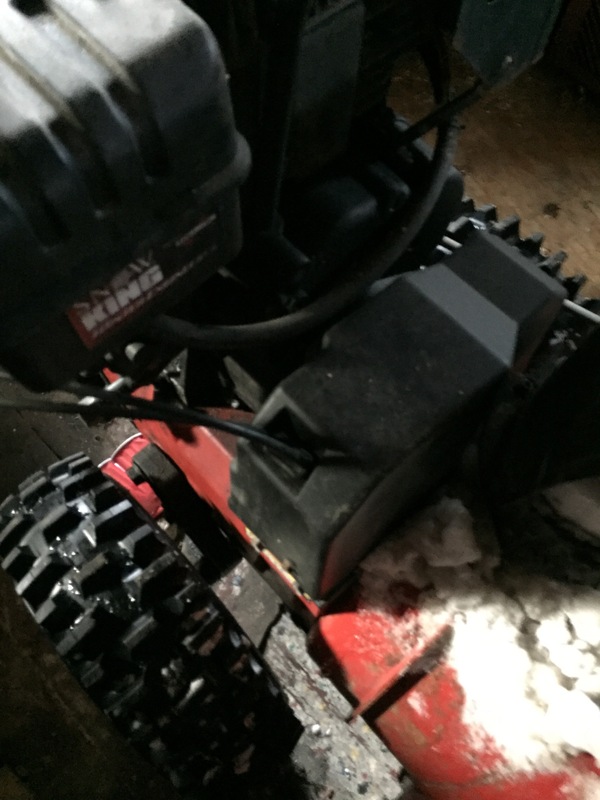 At the time like so many other things in life it was the most snowblower that could be afforded, and like many other buys of this nature it has not disappointed me once. I had speculated earlier in the winter that the belt would need replacement. This was mistaken there was some ice jammed up that was keeping the belt from engaging. This machine is one of the least picky that I’ve seen, all that was required pre season is some fresh gas and a check on the oil which was still very clear. This particular monster is not without her quirks though. Her starter is on halfnof it’s last leg and she doesn’t like the cold. The surefire way to get this machine out of bed is a little ether. Just the smallest hint in the piston and off it goes on the first tug. Once it’s running it goes like a champ. There is little that can stop it. A snow blower! Something we may need to invest in. We moved here 7 mo ago and were told, oh, it doesn’t snow and it it does, not very much. We’ve had close to 12 inches in the past couple of weeks. Lol! I love it! Anyway, I was just stopping by to say Hi, and wish you Happy New Year!